Have you ever wondered how those adrenaline pumping car chase scenes are filmed? What equipments and techniques are employed to capture such dramatic visuals involving high speed and thrilling action? 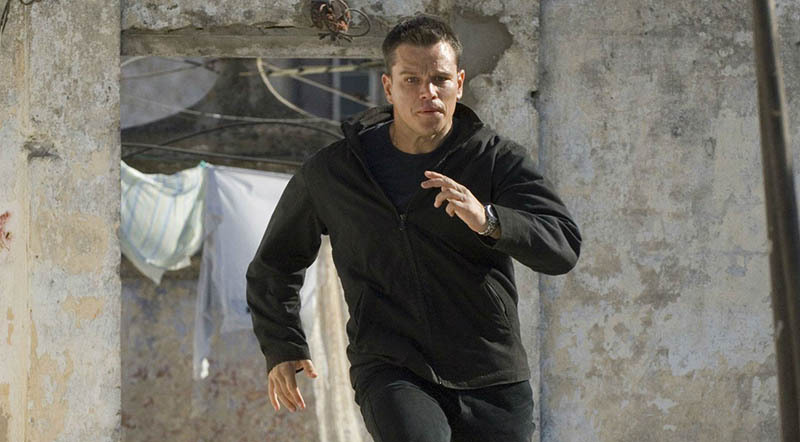 The recently released behind the scenes car chase footage from the upcoming Jason Bourne movie has all the answers. The main hallmark of the footage has to be the ride used for filming the car chase and what happens inside. There is a huge mobile boom and a camera mounted on the roof of the car. The vehicle is typically controlled by three people including a driver, a camera operator and one looking at the recorded visuals. Driving such a vehicle involves a special skill set, as it takes a lot of expertise to control and maneuver such a heavy weight driving through traffic and maintaining your line of sight view simultaneously. The actual action of Jason Bourne starts at two minutes into the footage when an armored SWAT van crashes into some cabs in the Las Vegas strip. Later in the footage, a dodge charger and the boom camera are seen moving in traffic with some hard to believe symphony. I have always been awed by the car chase scenes in movies, but never imagined that the POV footage can also be so thrilling and amazing.